TTI has emerged as a leader in delivering information to customers and the industry about the component shortage crisis. 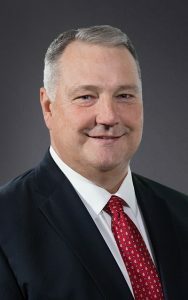 EMSNow caught up with Jeff Ray, Vice President – Product & Supplier Marketing, Passives and Discrete Semiconductors to gain some insights into what’s happening in this fast-changing environment and when conditions will improve. EMSNOW: Why do the shortages seem more severe this time around? Product shortages seem more severe this time around for several reasons. In previous tight markets manufacturers were in the process of expanding current capacity to meet a ramping market demand. In this cycle, the market demand didn’t as much ramp-up as it spiked, and then escalated at an exponential rate. This initial increase was largely driven by all market segments being up simultaneously. Whether it be consumer, computer, communication, industrial, medical, transportation, mil/aero, or EMS, every major market segment is up year-over-year. The exponential rate of severity has been driven by the lack of capacity expansion, or flat out exit, by several market leading manufacturers in many commodity passive and semiconductor product categories. Market demands being at an all-time high consumption rate level combined with lagging production rate increases of electronic components has created a business climate that is full of challenges for everyone. So if the dynamics of this market seem to be more severe than past shortage markets, it is because they are. EMSNOW: How will the tariffs impact the situation? Tariff impacts to today’s electronic market conditions are just starting to have a recognizable effect. Some of the causal factors that have suppressed the overall tariff impact thus far are: the distributor inventory levels, the percentage of IP&E product made in China, and manufacturers with multi-site manufacturing capabilities. In the first wave of China 301 tariffs, many of the affected HTS code electronic components were passive, electro-mechanical, or connector products and these products tend to be more heavily stocked by broad-line distributors. Therefore, distributors did not immediately pass along tariff charges as their inventories were received prior to July 6. In the overall IP&E world, roughly 20-25% of the affected components are made in China. So the notion that all IP&E products are tariff burdened is a fallacy. Also, for competitive reasons, some manufacturers have chosen to absorb some of the tariff charges and others have been able to shift manufacturing sites from China to other countries at least for U.S. shipments. However, tariffs will start to have a greater impact on the market in Q4 as distributors are having to replenish their inventory levels and will start to pass along tariff charges. Q4 tariff impacts will become more severe as the China 301 tariffs have expanded to some semiconductor product HTS codes as well. What’s not clear for 2019 is the duration of the China 301 tariff. It is conceivable that if the tariffs are not removed in 1H 2019 that their impact will be large enough to stall the current market growth rates. EMSNOW: When is more capacity likely to come online, esp for MLCCs? 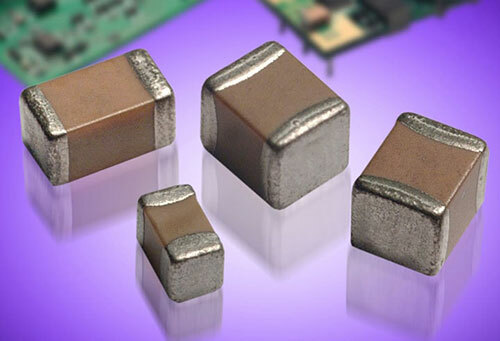 CapEx for MLCC product line expansion has been approved by many capacitor manufacturers and each of them are in varying stages of development. Some additional capacity is actually coming on-line in 2018 with even more planned for 2019 and 2020. There have been loads of delays in bringing on this additional production due to a backlog of manufacturing equipment. I believe there is enough planned additional capacity to meet the market demands of 2020, however I think 2019 could be a little dicey. The reason for this is the type of MLCC capacity expansion. The availability gap that has been created is primarily in the large case size, low CV MLCC product range (0603 and larger, 1uF and lower). Unfortunately, much of the added capacity is being targeted at the small case size, high CV MLCC market. Albeit the small case, high CV MLCC is by far the largest piece of the market, the real shortage in the market will be for large case, high CV MLCCs that are used in North America particularly in the Industrial and Automotive markets. So this is why I feel that 2019 will be uncertain for the large case, low CV market and the new capacity will come on-line in 2020 for the fast growing small case, high CV market.